There’s a technical side to styling fireplace mantels that can be of tremendous use if you're someone who really aims to impress with his or her decor. We've broken it down into an easy-to-follow guide that'll leave everyone talking about your mantel decor. A well-styled mantel has three primary components to its design: an anchor piece, layering, and symmetrical relationships. The anchor piece is the central point of focus of the entire design. It's what brings together all the individual elements into one, cohesive masterpiece. Usually, this is either a large mirror, a painting, or something else that's large in size and relates to the theme you're trying to achieve. The layers of your design come next. These are simply groups of smaller, more detailed objects you may use to enhance your mantel decor and further expound on a theme. 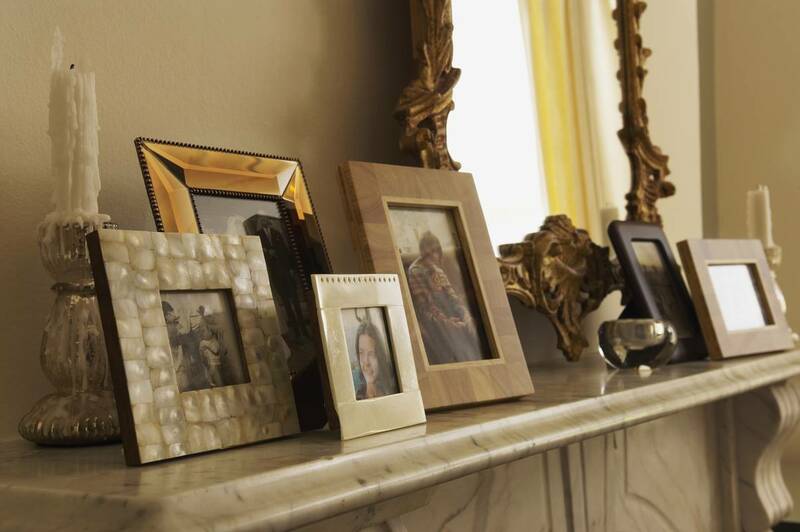 For example, if the central theme of your mantel design is your family, the anchor piece may be a large family portrait accompanied by layers of individual family photos and souvenirs from family trips. Finally, the third component of mantel decor is symmetry. You can go both ways on this. If you feel like the decorations on your fireplace mantel are arranged in an overly symmetrical way, consider adding asymmetry. Rearrange the groupings of layers so that they don't appear to be so "even" and balanced. Vary the heights and shapes of your layers. You'd be surprised as to what a good level of asymmetry can do for the observing eye. Now that we've covered the technical aspects of designing fireplace mantels, let's look at some themes and decoration ideas that you can incorporate into your own design strategy. If you're a collector, consider creatively displaying your collections on your mantel (unless they might be affected by the dry heat from your fireplace). Say you collect snowglobes and buttons. You could adorn your collections with other relative objects, such as some pictures of snowy landscapes or creations you've made with your buttons. Artwork is one of the most popular themes of mantel design. If you own several paintings or even paint your own pictures, fireplace mantels can display your work beautifully. Attractive pieces of artwork combined with natural elements, like plants, stones, and other greens, can create a fantastically earthy atmosphere. If you're a fan of 19th Century American lifestyle, decorate your mantel with quill pens, candles, wooden artifacts, maps, a basket or two, and anything else you deem fit. It's hard to disagree with an old-timey, almost nostalgic feel to a home. Next to artwork, it's also very common to use a large mirror as the anchor piece of your mantel design. Not only is this practical, but it also allows you to accompany the mirror with almost any design strategy you can think of. The possibilities are limitless. Another interesting idea for fireplace mantels is using a two-color design theme for the entire thing. The example here is black and white, but you can really use any two colors you want. The trick is to unify the two-color design of your mantel with the color scheme of the rest of the room; they don’t have to be an exact match, but they should complement each other. Designing your mantel with a single-material theme is also a great design idea. The possibilities are endless: metallic, earthy, marble, stone, you name it. Combine your material theme with some well-oriented layers and you’ll have a fireplace mantel for the ages.